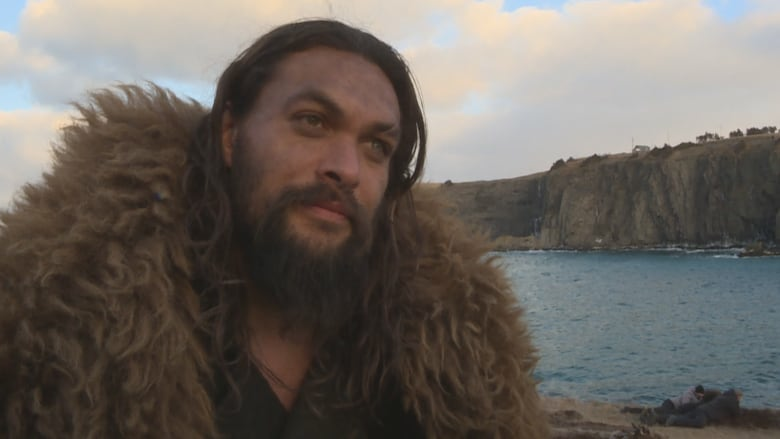 Superstar Jason Momoa made a rare public appearance on Tuesday to offer members of the media and Premier Dwight Ball an inside look at filming of the third season of Frontier. On the scenic beach at Middle Cove, one mountain of a man covered in buffalo fur stands out. 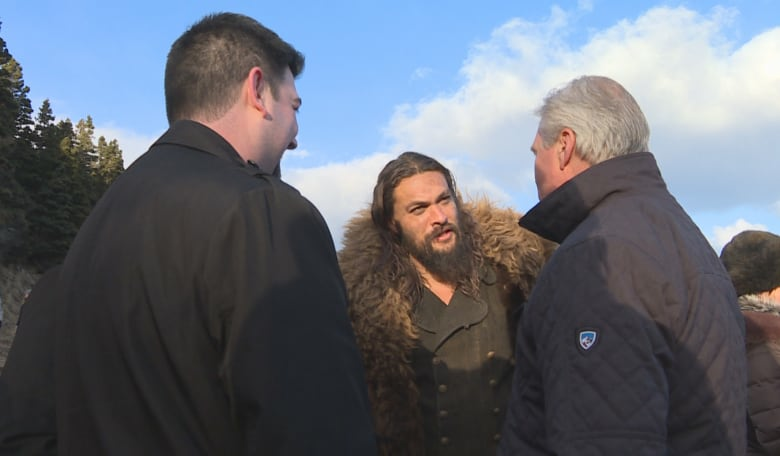 Momoa made a rare public appearance on Tuesday to offer members of the media and Premier Dwight Ball an inside look at filming of the third season of Frontier. In his three years filming the hit Netflix and Discovery drama around St. John's, the Justice League star has fallen head over hiking boots for Newfoundland and Labrador. "I love it here," said Momoa. "It's one of my favourite places on earth." On Tuesday, crews were filming a scene that didn't showcase any new characters or give away any spoilers for the upcoming season. For three days, the Frontier production team managed to turn back the clock at Middle Cove beach about 300 years. The popular beach is one of the many locations in the province used in the show, which is filmed over winter to take advantage of the elements. But this year however, they've been lacking. "I wanted there to be snow," said Momoa. "It's February and I can't believe there is no snow on the ground. I had to go to western Newfoundland to find snow." It's not just the filming location that offers appeal to the 38-year-old actor. Momoa hasn't shied away from getting out and seeing St. John's. He loves the city's fine dining and seeing the live music it has to offer. "Jeremy Charles is one of my dear, dear friends," he said. "I enjoy his restaurants and Tak Ishiwata's restaurant, I go to Basho a lot." With his blockbuster film Aquamancoming out later this year, 2018 is poised to be a big one for Momoa. "This year is a very big year for me," he said. "I've jumped in a lot of different chairs to see a vision come through and now I have a family [Frontier crew] that's been going for two years. I am really close to everyone up here."